National Intelligence Director Dan Coats issues warnings about cyber threats to US national security, reports Military Times. He says these digital attempts to undermine America are occurring daily, not just at election time. Among the culprits, Russia, China, Iran, North Korea, and criminal networks and individual hackers. Turkey’s plans to buy the Russian S-400 missile defense system would give a weapon used by “known foes” of NATO insight into the radar-evading F-35 fighter jets arriving in growing numbers in Europe, reports Reuters. Peter Navarro, director of the White House National Trade Council and a key economic adviser, had been scheduled to appear as part of a Washington delegation at Farnborough International Airshow. Defense News reports that due to a scheduling conflict Navarro will not attend the airshow. Coverage of this week’s show can be found here. Despite competition from maritime patrol aircraft such as the Saab Swordfish and Kawasaki P-1, Boeing says it is seeing interest in its P-8A Poseidon from Asian and Middle Eastern countries, reports Flight Global. General Atomics Aeronautical Systems’ developmental MQ-9B SkyGuardian UAV made the first ever transatlantic flight of a medium-altitude, long endurance aerial drone, reports Defense News. A shake-up may be coming for the F-35 supply base, reports Defense News, as Lockheed Martin considers opening up new competitions for the jet’s electronic warfare and communications systems. The A-10 vs F-35 close-air support fly-off has wrapped up before many people even realized the tests were happening, reports Air Force Times. The Project on Government Oversight watchdog group claims the tests were rigged in favor the Lightning II. RADM William Galinis told industry representatives that the service will meet its goal of a 355-ship fleet, reports Defense News. He says that congressional investment in shipbuilding and the service life extension of aging vessels will allow the Navy to meet the target. The Air Force has not found the cause for a surge of hypoxia-like incidents in a wide variety of aircraft, reports Military.com, but has ruled out the possibility that pilots could be mistaking symptoms in some cases. “We know for a fact what our pilots are experiencing in the airplanes — our pilots are not making things up” when they report incidents, Air Force Lt. Gen. Mark C. Nowland said. Though China was disinvited from the US Navy’s biennial Rim of the Pacific exercise, it has made an appearance anyway, reports the Honolulu Star-Advertiser, dispatching a spy ship to international waters off the Hawaiian islands. With RIMPAC underway, the Navy posted a video of a sinking exercise involving the retired Newport class landing ship-tank amphibious ship USS Recine. The vessel was decommissioned 25 years ago but finally met its end last week at the hands of a flurry of friendly missiles and torpedoes, reports The Drive. Reuters reports that L-3 Communications Holdings has hired former senior Lockheed Martin executive Steve O’Bryan as its global chief of business development. US and North Korean military officials held productive talks on efforts to return the remains of American soldiers killed during the 1950-53 war, reports Stars and Stripes. Lockheed Martin Corp., Baltimore, Maryland, is awarded a $450,744,723 not-to-exceed undefinitized contract action modification to previously awarded contract N00024-18-C-2301 for long-lead-time material and detail design in support of the construction of four Multi Mission Surface Combatant ships. The Multi-Mission Surface Combatant is a lethal and highly maneuverable surface combatant capable of littoral and open ocean operation. This contract involves Foreign Military Sales to the Kingdom of Saudi Arabia. Work will be performed in Crozet, Virginia (17 percent); Iron Mountain, Michigan (15 percent) Milwaukee, Wisconsin (15 percent); Baltimore, Maryland (9 percent); Novi, Michigan (9 percent ); Sweden (8 percent); Marinette, Wisconsin (3 percent); Patuxent River, Maryland (2 percent); Stevensville, Maryland (2 percent); Carson, California (2 percent); Orlando, Florida (2 percent); Moorestown, New Jersey (1 percent); Canada (1 percent); St. Charles, Missouri (1 percent); Burns Harbor, Indiana (1 percent); Louisville, Kentucky (1 percent); United Kingdom (1 percent); Kingsford, Michigan (1 percent); Fridley, Minnesota (1 percent); Grand Rapids, Michigan (1 percent); and other areas in the U.S. (8 percent), and is expected to be completed by October 2025. Foreign military sales funding for the Kingdom of Saudi Arabia in the amount of $225,372,361 will be obligated at time of award and will not expire at the end of the current fiscal year. The Naval Sea Systems Command, Washington, District of Columbia, is the contracting activity. The Whiting-Turner Contracting Co., Baltimore, Maryland, is awarded a $21,400,000 firm-fixed-price contract for the design and construction of two applied instruction facilities and the renovation of two applied instruction facilities at Joint Expeditionary Base Little Creek-Fort Story. The work to be performed provides for the design and construction of two new multi-story applied instruction facilities and will renovate Buildings 1081 and 1082 (applied instruction facilities). The facilities will support a variety of functions including applied instruction, dive operations, operational gear storage and administrative. The project will include all pertinent site improvements, site preparations, mechanical and electrical utilities, telecommunications, pile foundation, emergency generator, landscaping, irrigation, fencing, drainage, parking, road reconfiguration, exterior lighting and removal of two modular facilities. The contract also contains one unexercised option and three unexercised planned modifications, which if exercised would increase cumulative contract value to $24,605,737. Work will be performed in Virginia Beach, Virginia, and is expected to be completed by October 2020. Fiscal 2016 military construction (Defense-Wide) contract funds in the amount of $21,400,000 are obligated on this award and will not expire at the end of the current fiscal year. This contract was competitively procured via the Navy Electronic Commerce Online website, with 16 proposals received. 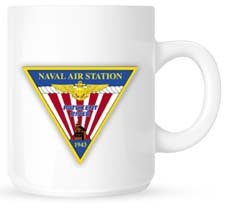 The Naval Facilities Engineering Command, Mid-Atlantic, Norfolk, Virginia, is the contracting activity (N40085-18-C-1137). Thales Defense & Security Inc., Clarksburg, Maryland (W15P7T-18-D-0003); Rockwell Collins Inc., Cedar Rapids, Iowa (W15P7T-18-D-0004); Northrop Grumman Space & Mission Systems Corp., San Diego, California (W15P7T-18-D-0005); Harris Corp., Rochester, New York (W15P7T-18-D-0006); and General Dynamics Mission Systems, Scottsdale, Arizona (W15P7T-18-D-0007) will compete for each order of the $249,600,000 hybrid (cost, cost-plus-fixed-fee, cost-plus-incentive-fee, and firm-fixed-fee) contract to support the Waveform Development Environment Ecosystem, multiple waveforms and network services. Bids were solicited via the Internet with five received. Work locations and funding will be determined with each order, with an estimated completion date of July 12, 2023. U.S. Army Contracting Command, Aberdeen Proving Ground, Maryland, is the contracting activity. Thales Defense and Security Inc., Clarksburg, Maryland, has been awarded a $12,255,608 firm-fixed-price contract for Deployable-Instrument Landing System (D-ILS) production units. 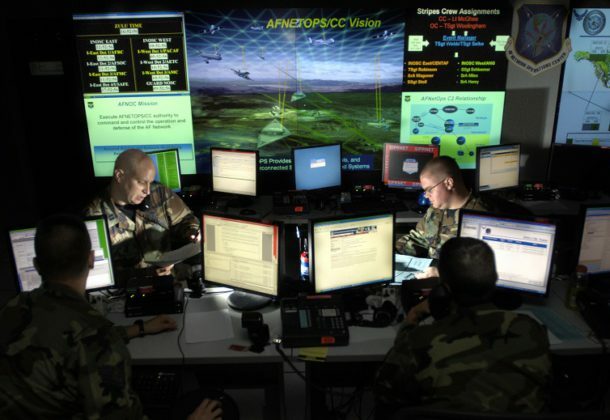 This contract provides up to 29 D-ILS to be deployed worldwide. Work will be performed in Clarksburg, Maryland, and is expected to be completed July 15, 2023. Fiscal 2017 procurement funds in the amount of $12,255,608 are being obligated at the time of award. The total cumulative face value of the contract is $126,104,149. Aerospace Management Systems Contracting Office, Hanscom Air Force Base, Massachusetts, is the contracting activity (FA8730-18-C-0034).